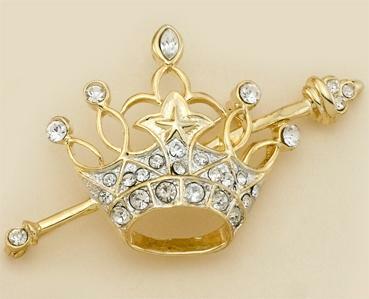 Crown with star and scepter pin with Austrian clear crystals in gold or silver setting. 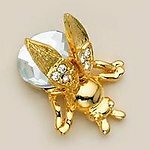 Measures just under three inches long by one and a half inches tall. Please specify setting color when ordering.